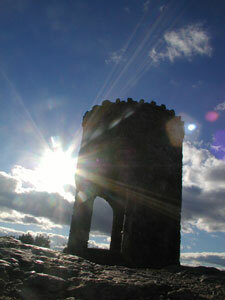 The stone lookout tower at the summit of Mt. Battie in Camden Hills State Park. Credit: Maine Office of Tourism. Camden Maine is what one could call the “peak” of Maine coastal travel. Much like Acadia National Park, also in Maine, Camden features that rare combination on mountain and ocean scenery. Mount Battie in Camden is open to vehicle traffic, meaning that visitors can reach the paved auto road through beautiful Camden Hills State Park at 280 Belfast Rd. in Camden. The views from the mountain are stunningly beautiful overlooking Camden’s pretty harbor and colorful, quintessential New England downtown. A stone memorial lookout tower provides more scenic views down to Meginticook Lake. For more information on what to see and do in Maine, go to www.visitmaine.com. ← Conrad’s Restaurant Opens Second Location in Walpole, Mass.